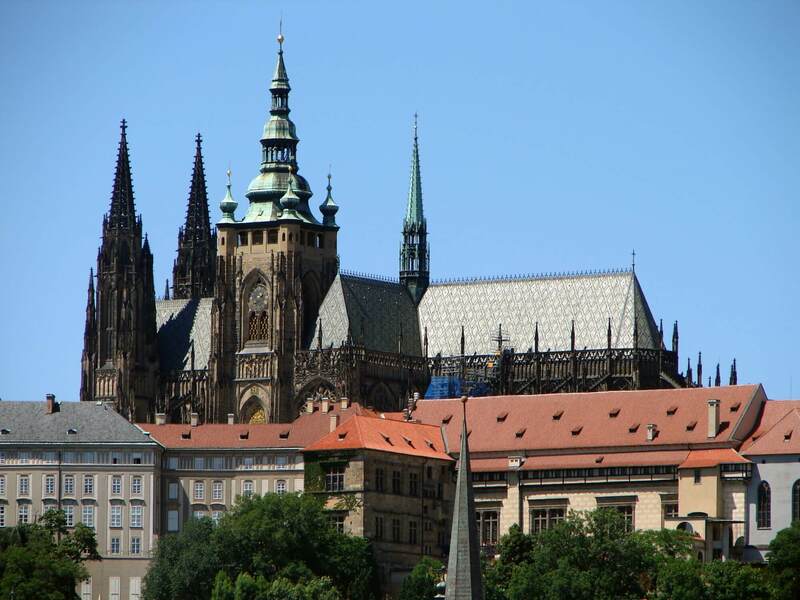 Prague Castle has been an important symbol of the Czech state for more than a thousand years. 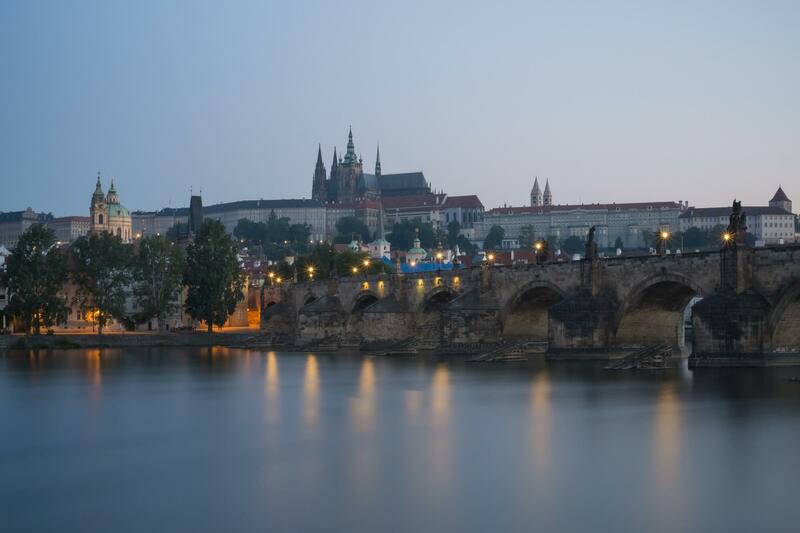 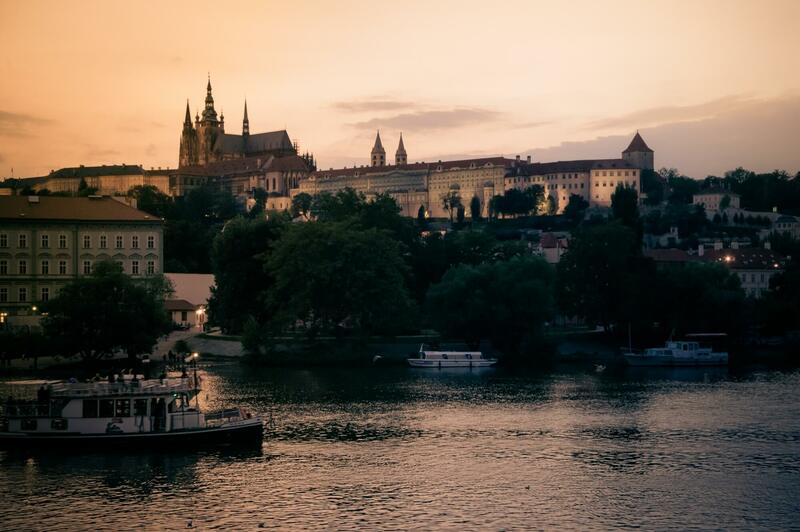 It was founded in the 9th century and became the seat of Czech rulers and later presidents. 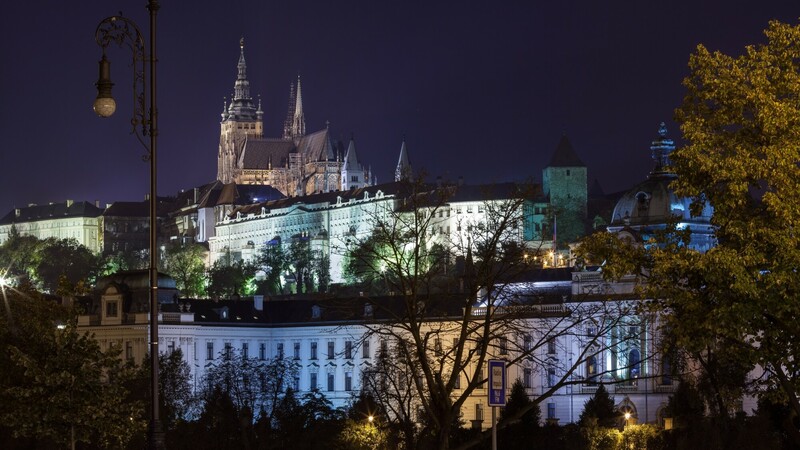 The castle, one of the largest complexes in the world, is made up of historical palaces, offices, church and fortification buildings, gardens and picturesque spots. 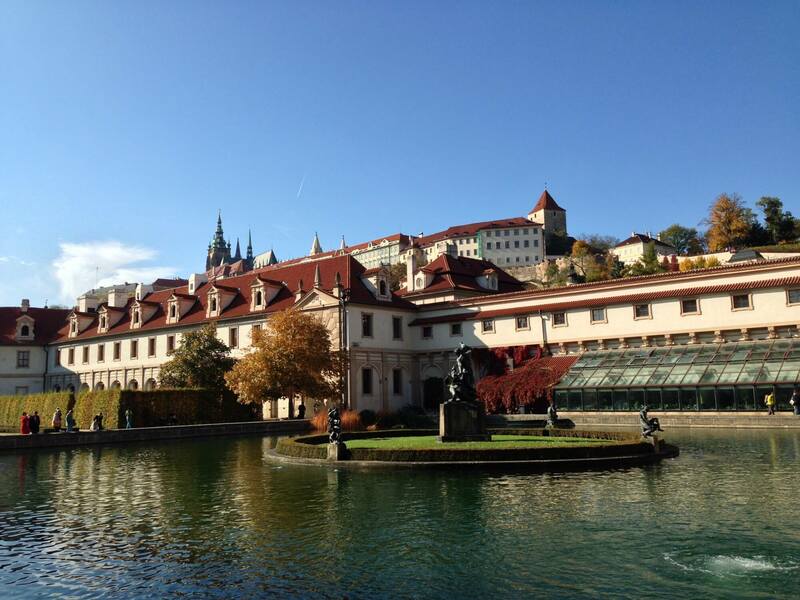 It covers an area of 45 hectares. 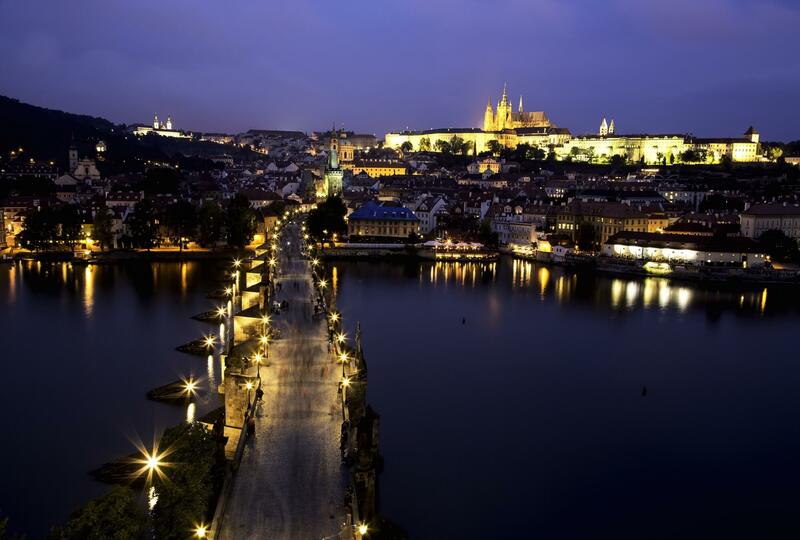 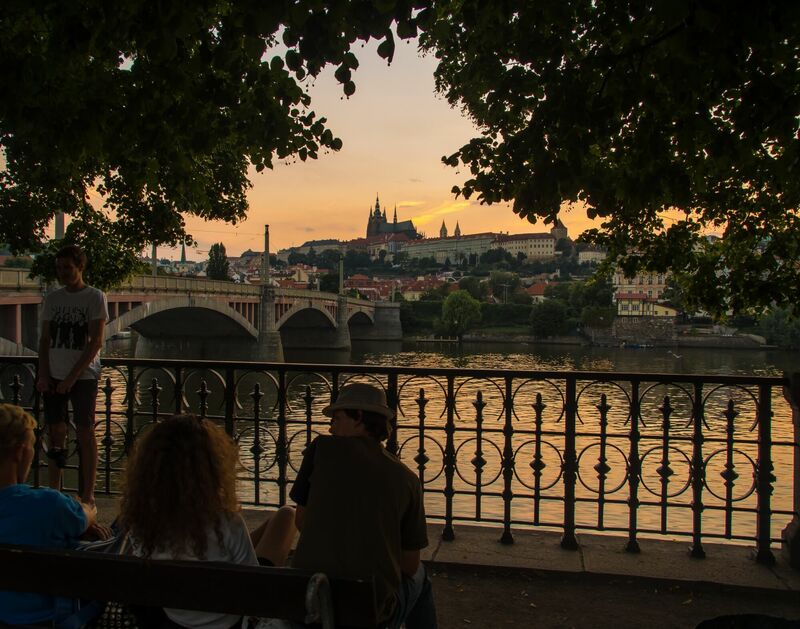 The panoramic view of Prague Castle is one of the most spectacular in the world. 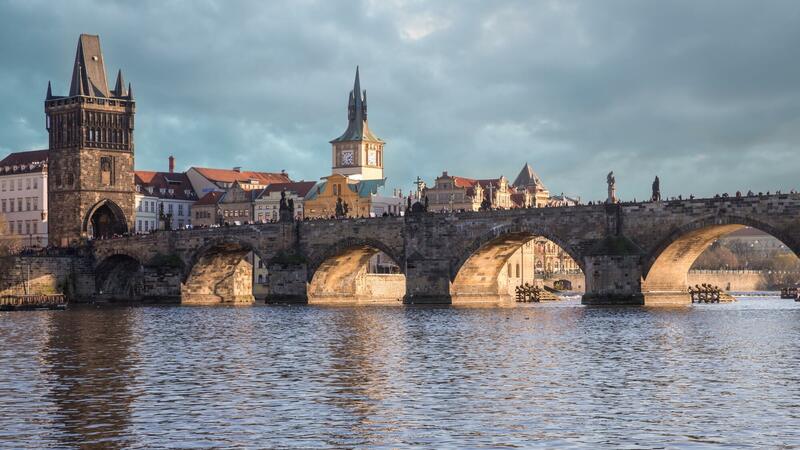 Prague’s oldest bridge (Karlův most) was built to replace the Judith Bridge that had been badly damaged by floods in 1342. 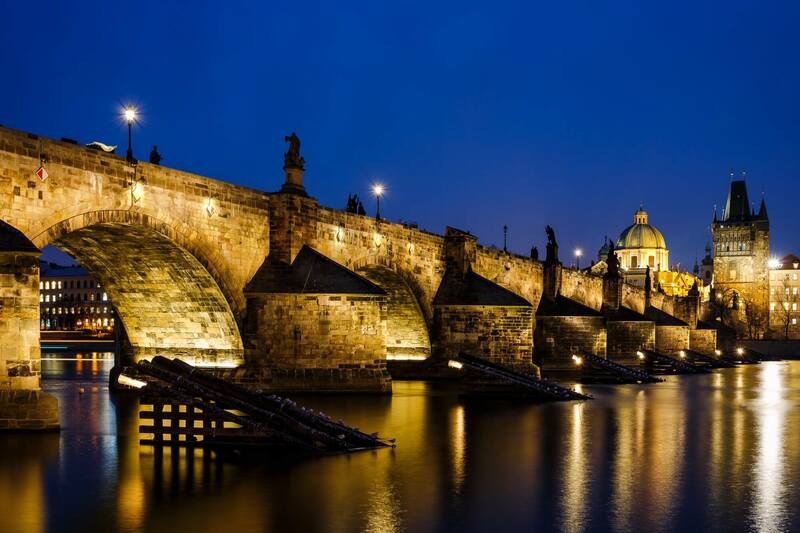 The Stone, or Prague, Bridge, called Charles Bridge since 1870, was begun in 1357 by Charles IV and was completed in 1402. 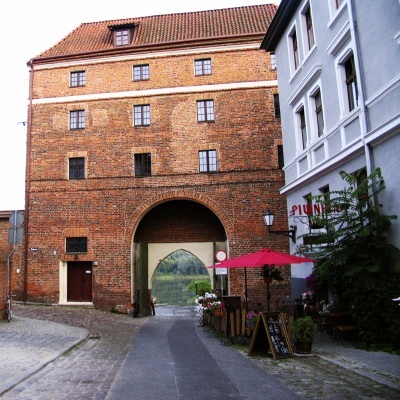 The bridge is built of sandstone blocks, flanked at each end by fortified towers (Lesser Town Bridge Towers, Old Town Bridge Tower). 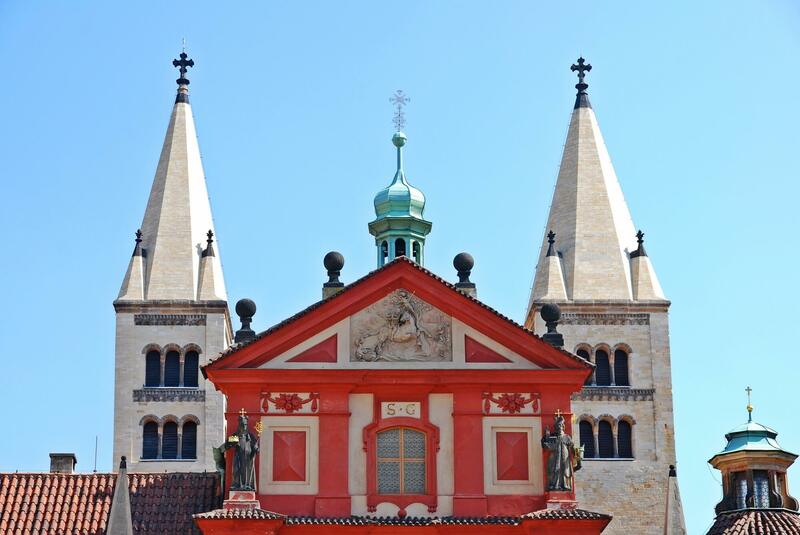 From 1683 to 1928, 30 statues of saints were carved to decorate the bridge, the most famous of which is the statue of St John of Nepomuk. 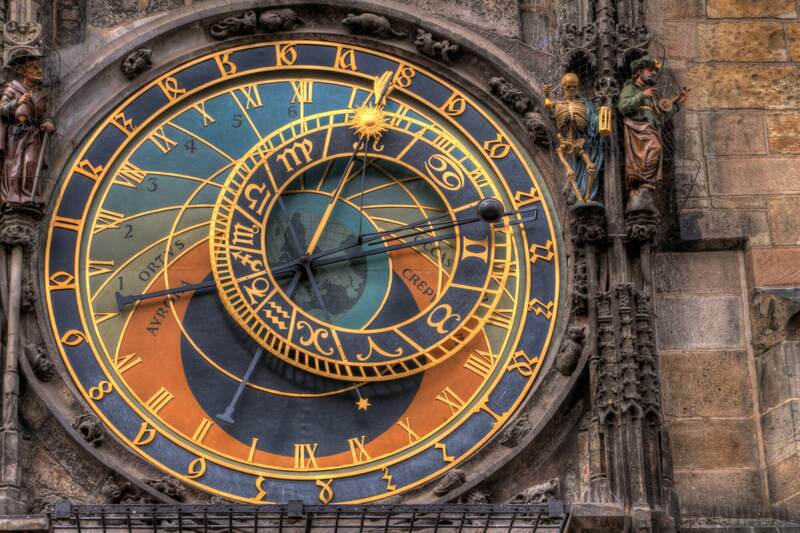 Pražský orloj - the oldest astronomical clock still in use in the world. 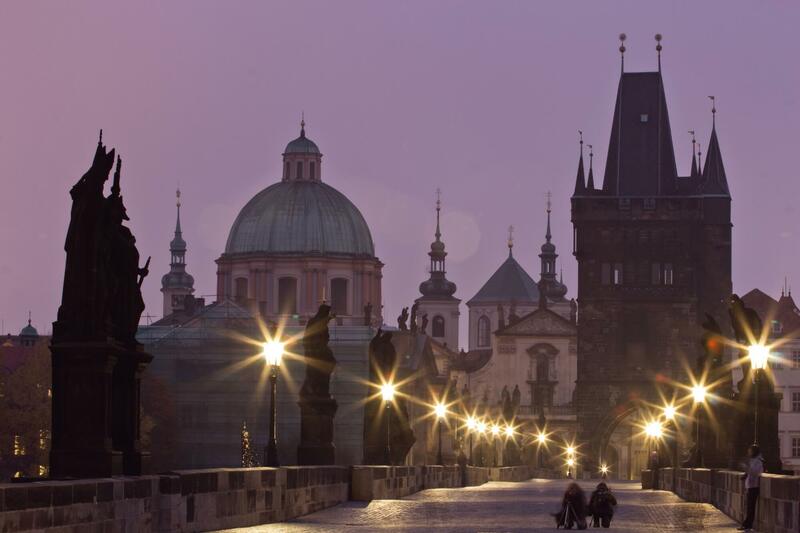 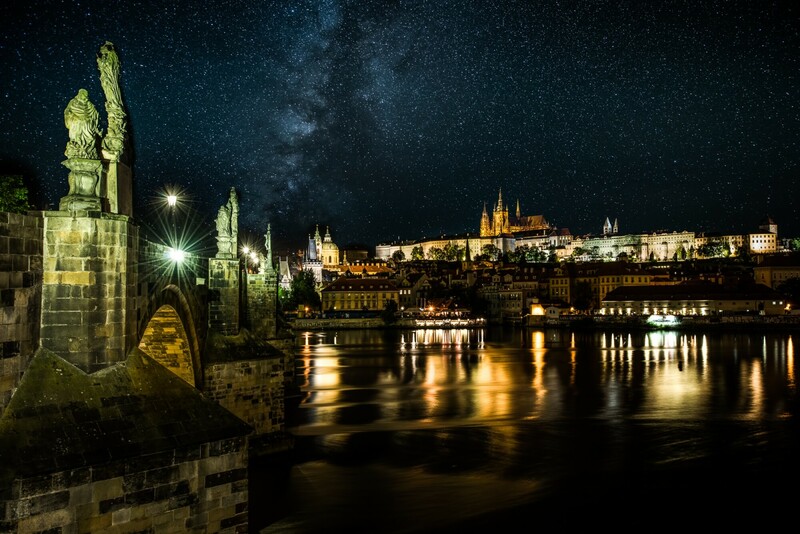 This 600-year-old masterpiece is a must see in Prague! 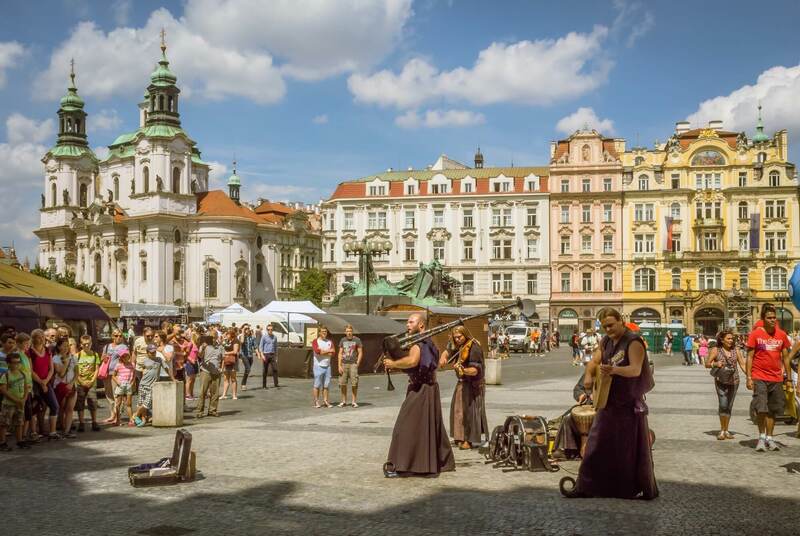 The most significant square of historical Prague, it was founded in the 12th century and has been witness to many historical events. 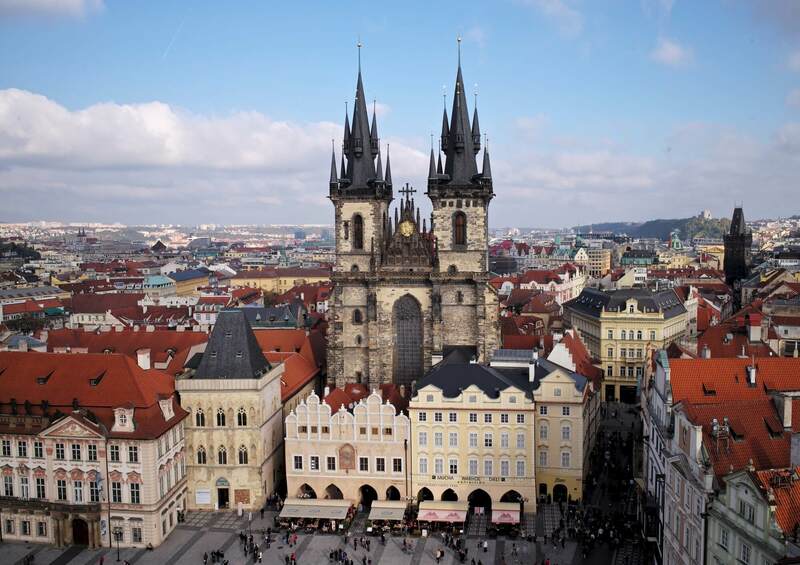 In addition to the Old Town Hall and the Church of Our Lady before Týn, the square is dominated by the Baroque Church of St Nicholas, the Rococo Kinský Palace, the Gothic House at the Stone Bell and the monument to Jan Hus. 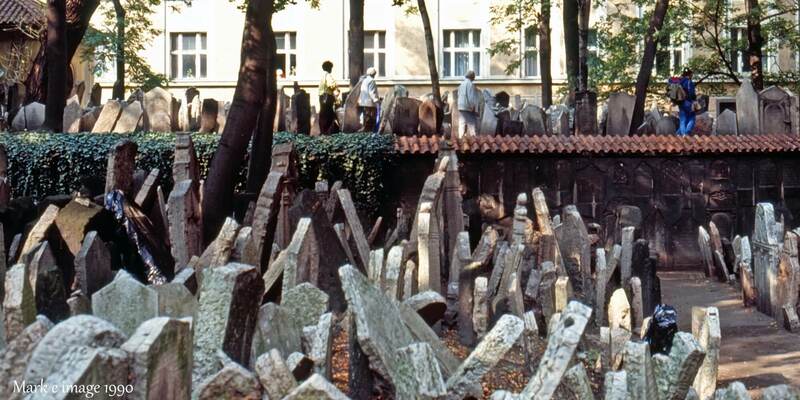 In the pavement of the square are memorial stones marking the execution of 27 Czech lords in 1621, and the Prague meridian. 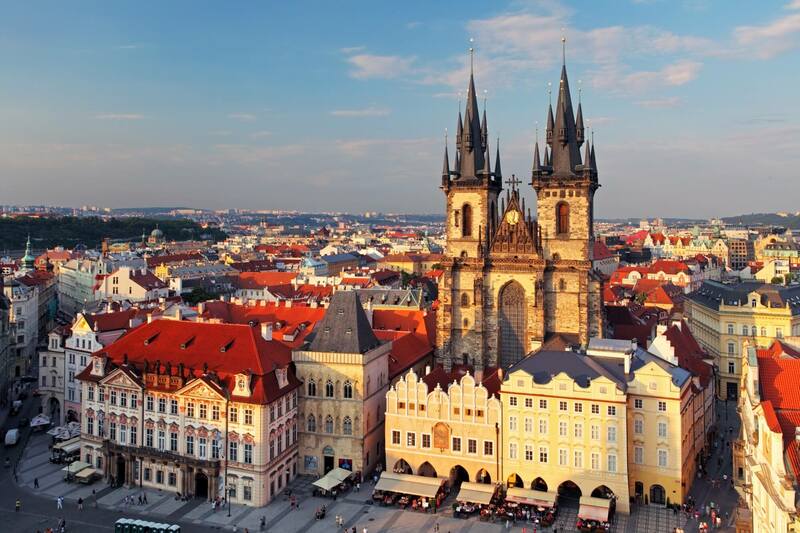 This Gothic cathedral, the spiritual symbol of the Czech state, was founded in 1344 on the site of the original Romanesque rotunda. 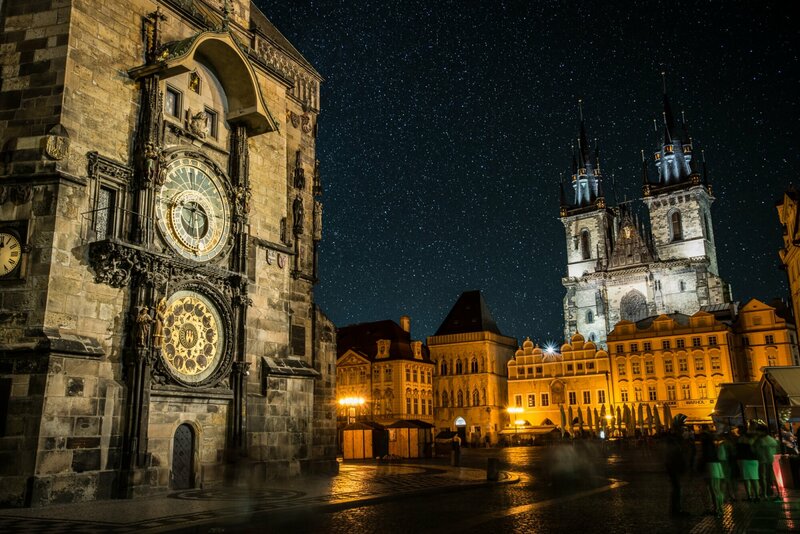 The construction took nearly 600 years and was finally completed in 1929. 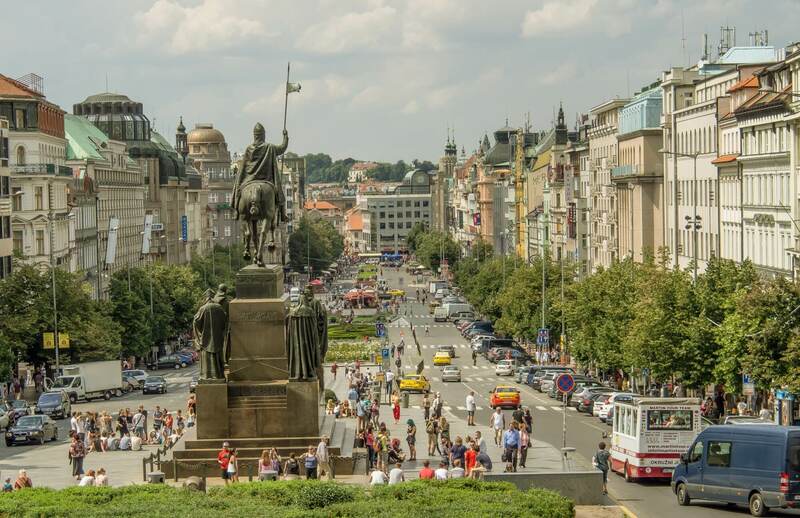 Its impressive interior is home to such wonders as the beautifully decorated St. Wenceslas Chapel with the tomb of St Wenceslas, the crypt where Czech kings are buried, and the Crown Chamber, where the Crown Jewels are kept. 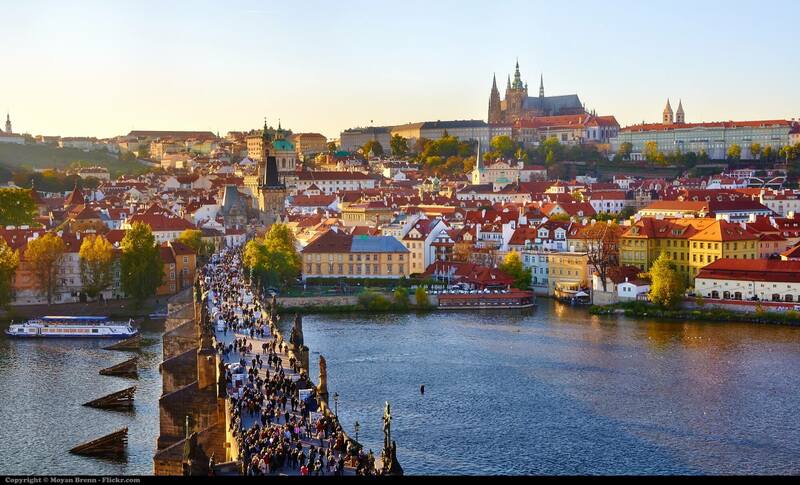 One of the most iconic places in Prague connecting many important sights. 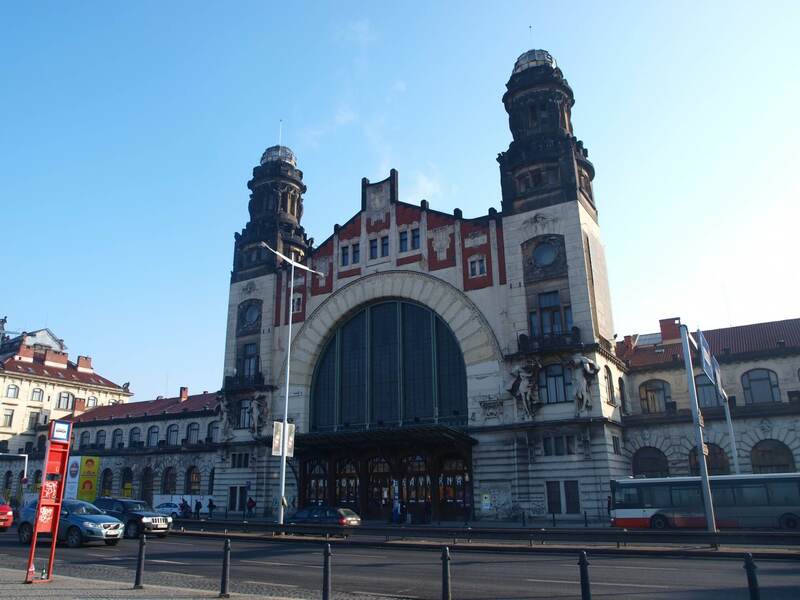 The Velvet Revolution demostrations took place here. 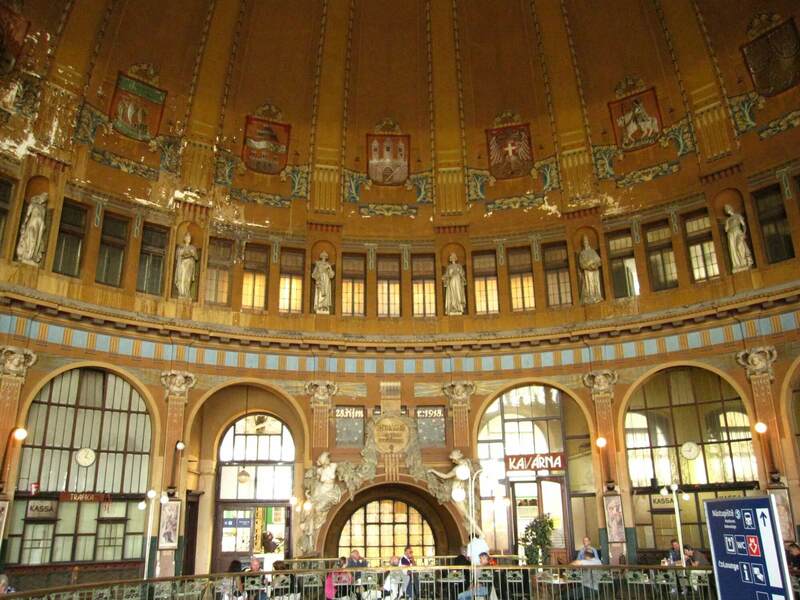 The recently refurbished Art Nouveau station has been in service since 1871. 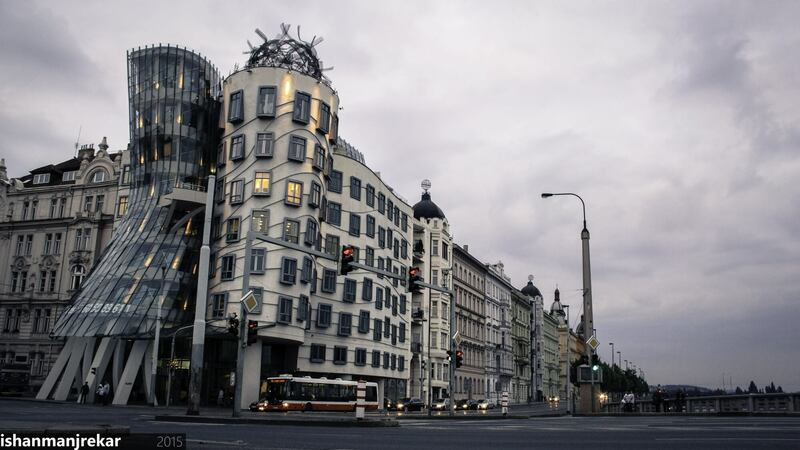 It hides a real gem Fanta's Café, undergoing reconstruction. 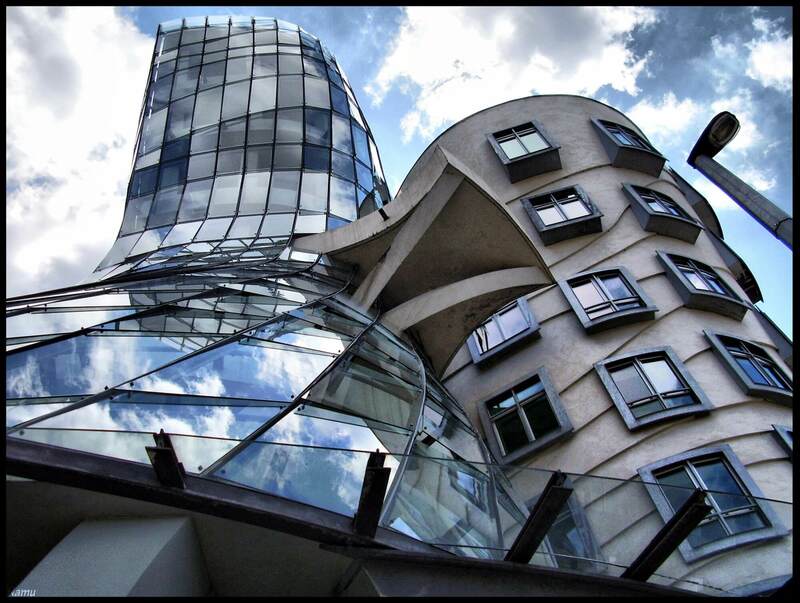 This gallery is located in the Dancing House on the Rašínovo Embankment – a modern dominant of Prague's skyline, designed by the architects Vlado Milunić and Frank O. Gehry. 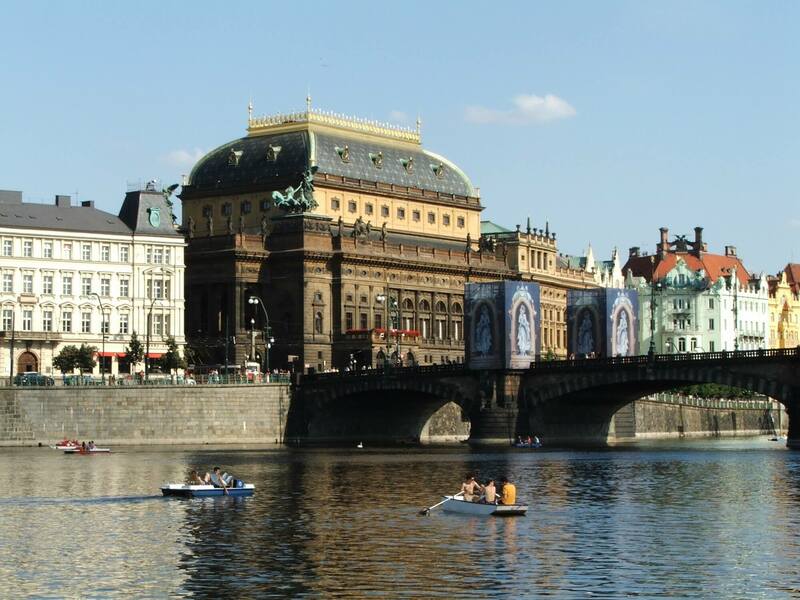 The goal of Art Salon S is to discover and support young talented artists from the Czech Republic and abroad. 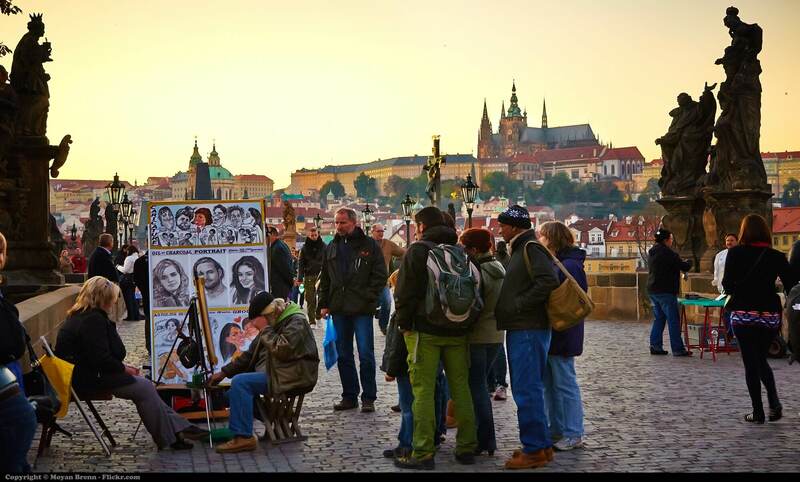 In addition to exhibitions, the gallery puts on a wide variety of other events, and it also has a shop for books and design objects. 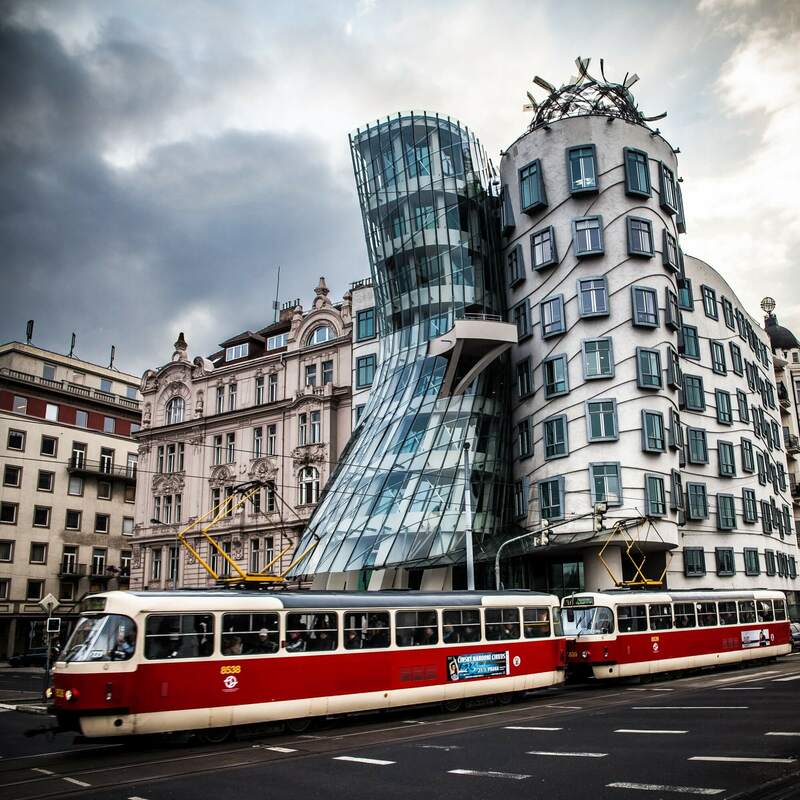 The Dancing House is also home to a restaurant, and from the roof of the building you can take in the view of the whole city. 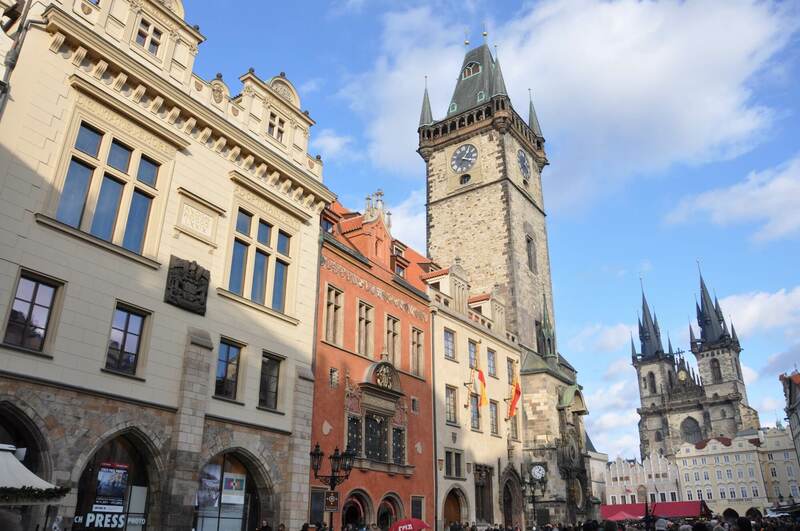 One of Prague’s most significant Romanesque monuments, this is the city’s second oldest church and was founded around 920 AD. 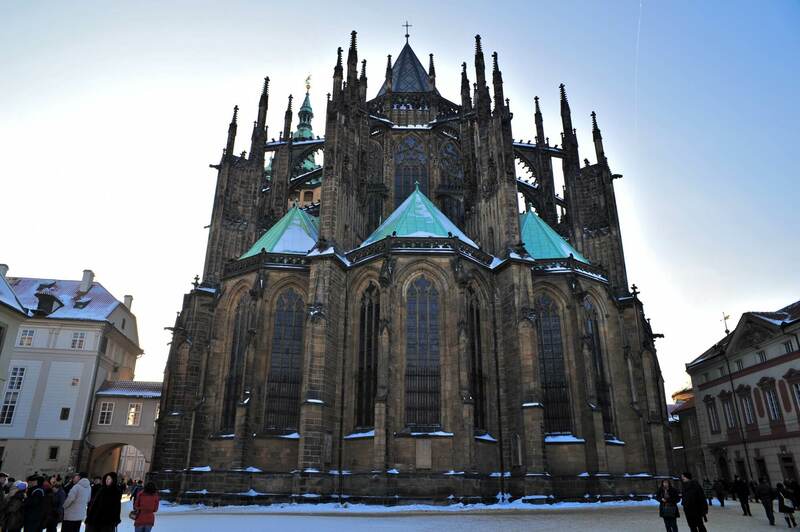 Standing on Jiřské náměstí, the church is dominated by its two white stone steeples, which reach a height of 41 m. The wider southern tower is called Adam; the narrower northern tower is called Eve and stands at a slight tilt (about 40 cm). 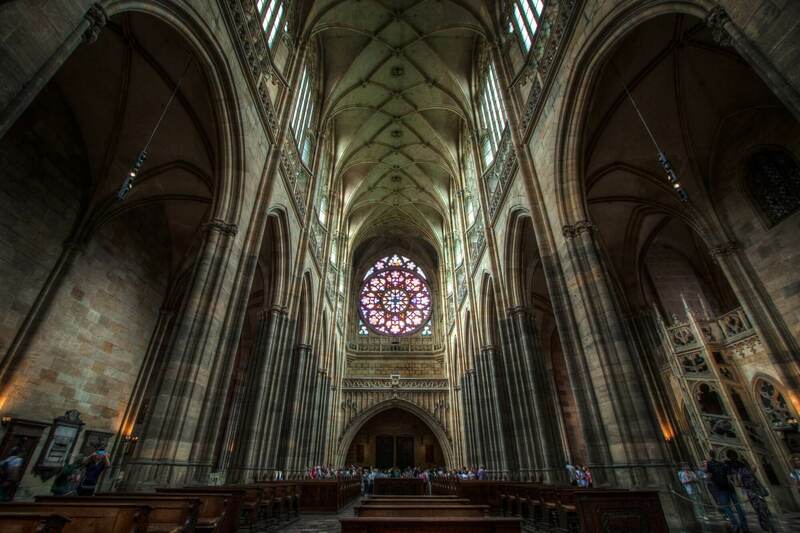 The Romanesque interior of the basilica with the tomb of the Přemyslids is included in the Prague Castle guided tour. 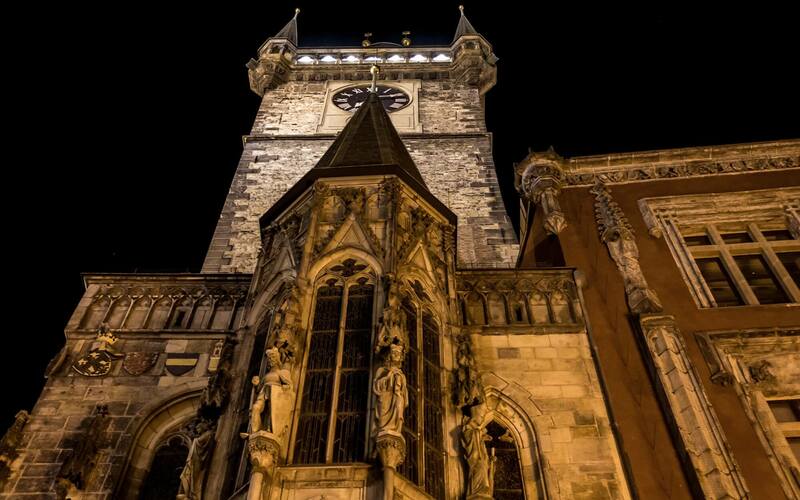 Church of Our Lady before Týn (Chrám Matky Boží před Týnem) One of the most impressive Gothic religious buildings in Prague, it was built from the mid-14th to the early 16th centuries. 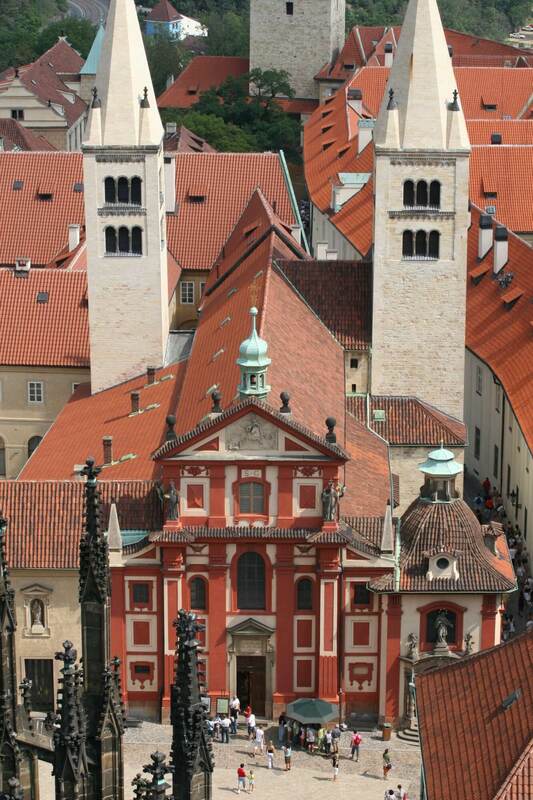 At the end of the 17th century, the interior was reworked in Baroque style. 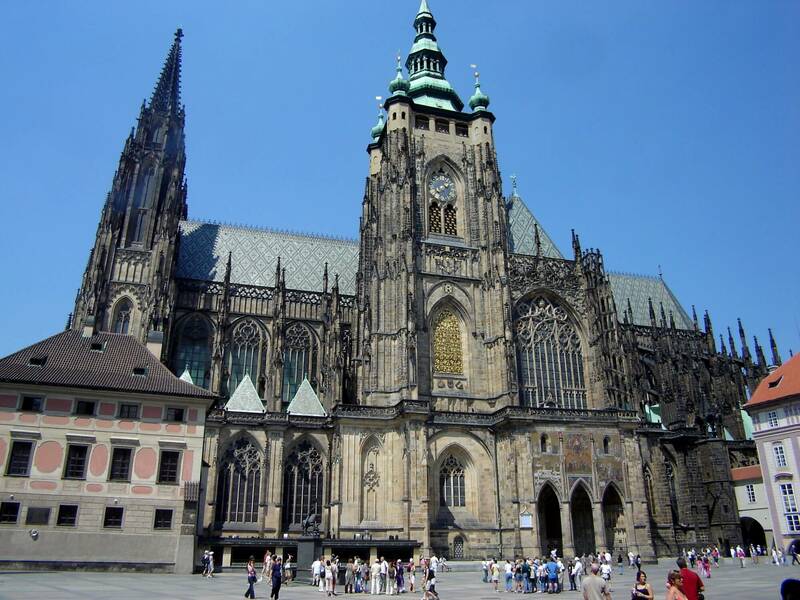 The cathedral serves as an extensive gallery of Gothic, Renaissance and Early Baroque works, the most interesting of which include altar paintings by Karel Škréta and the tomb of the astronomer Tycho Brahe. 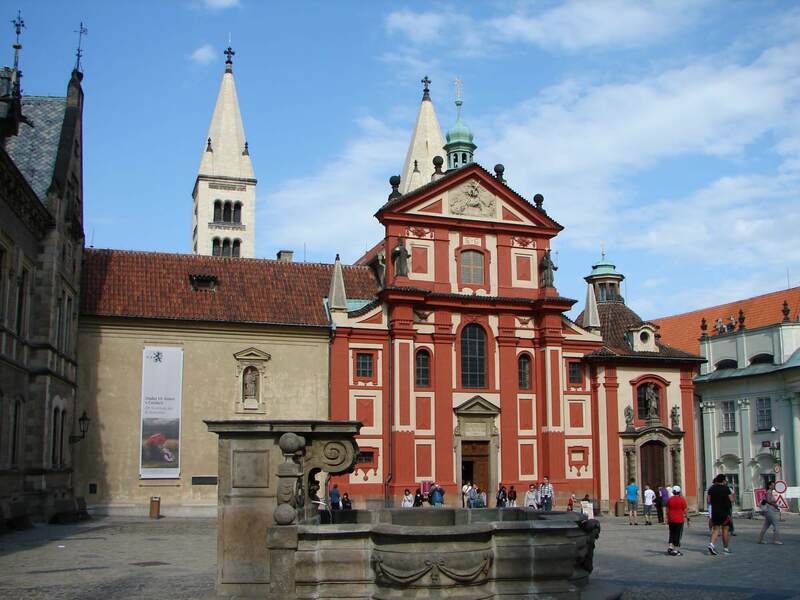 The organ, dating from 1673, is the oldest in Prague. 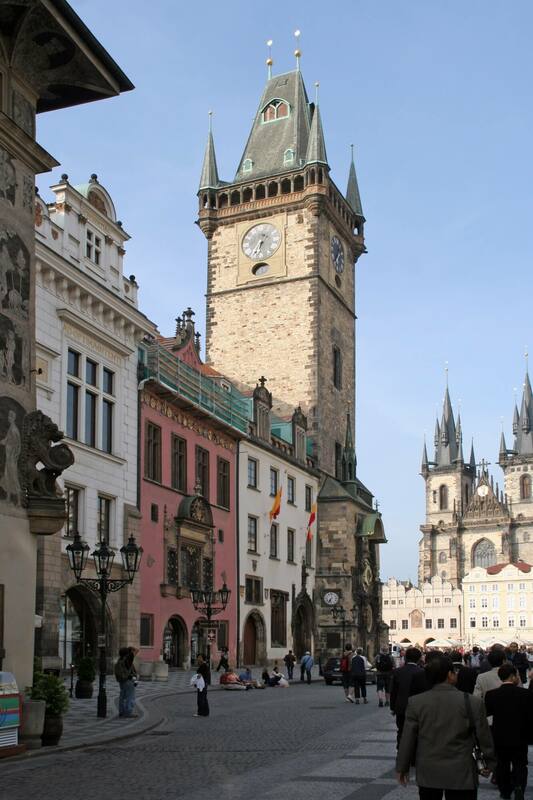 The Old Town Hall was established in 1338 as the seat of the Old Town administration. 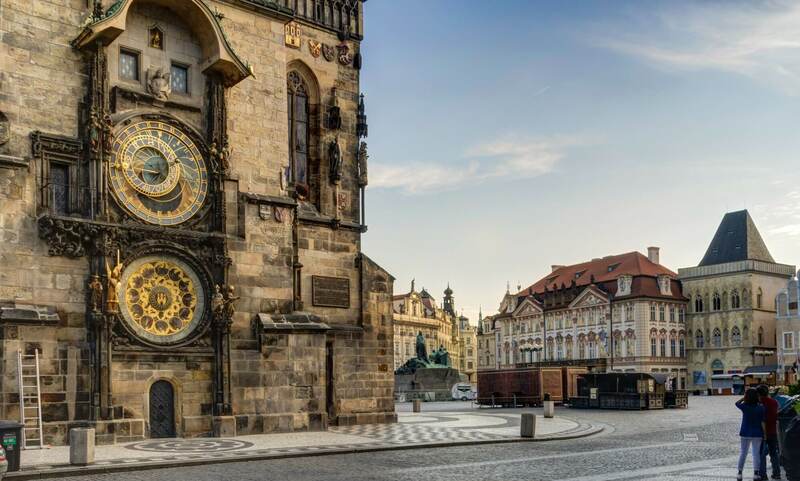 The oldest part of the complex consists of a beautiful Gothic tower with a bay chapel and a unique astronomical clock – known as the Orloj – where, every hour between 9 am and 11 pm, the twelve apostles appear. 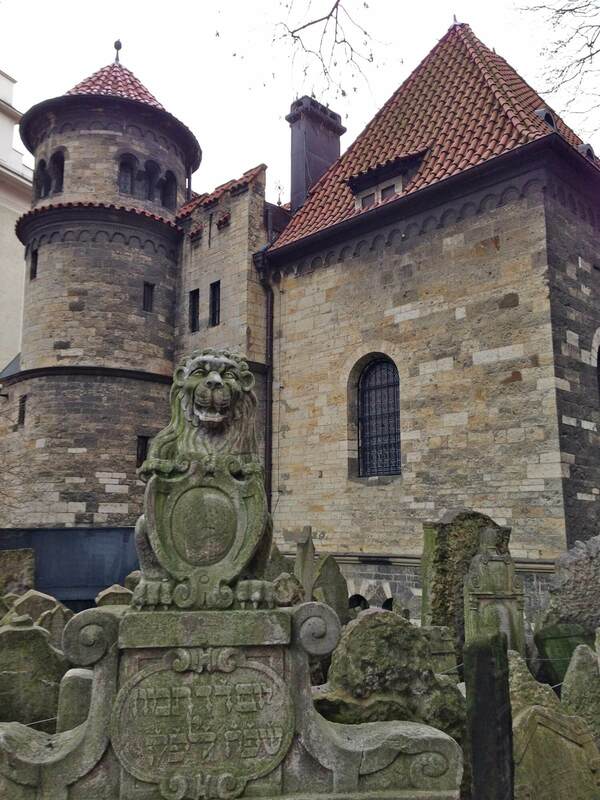 The Gothic Revival eastern wing of the Town Hall was destroyed during the Prague Uprising on May 8, 1945 and was never rebuilt. 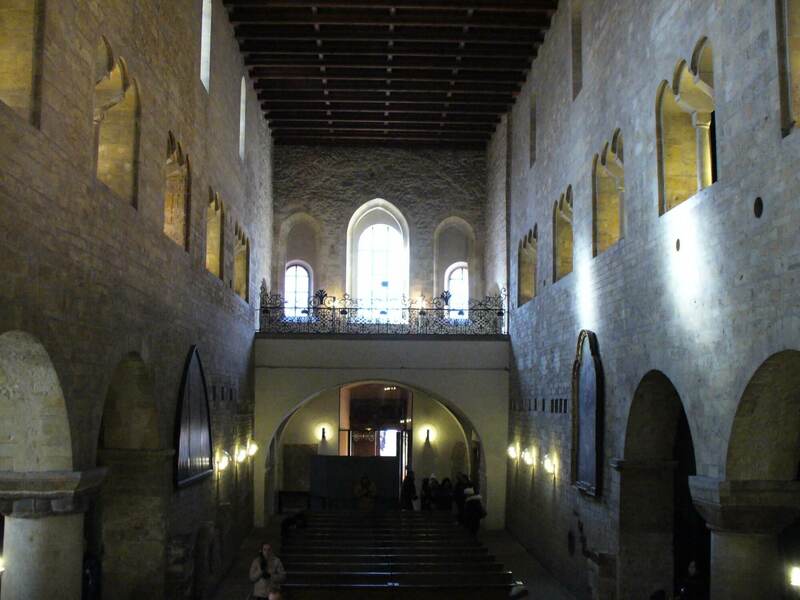 The guided tour includes the historical halls, the tower and the underground areas. 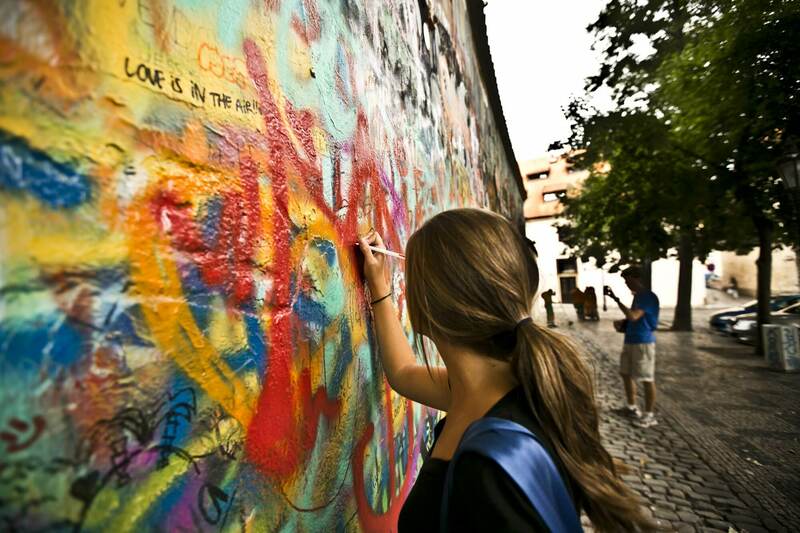 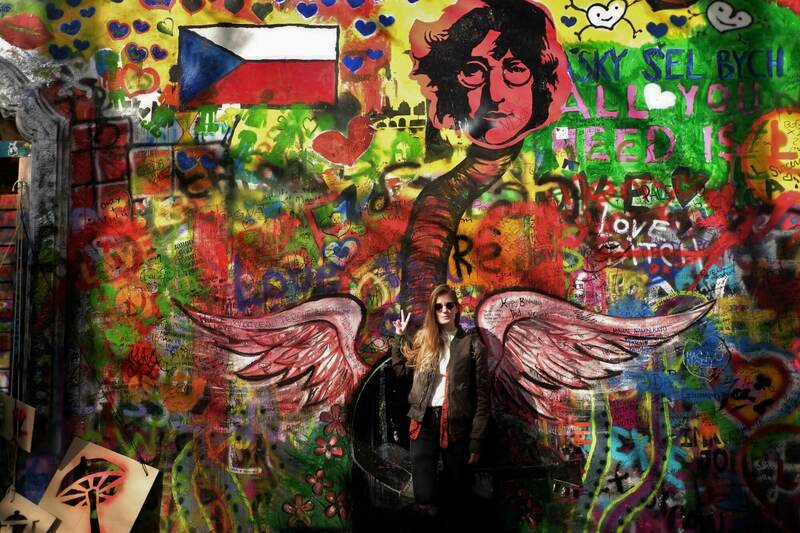 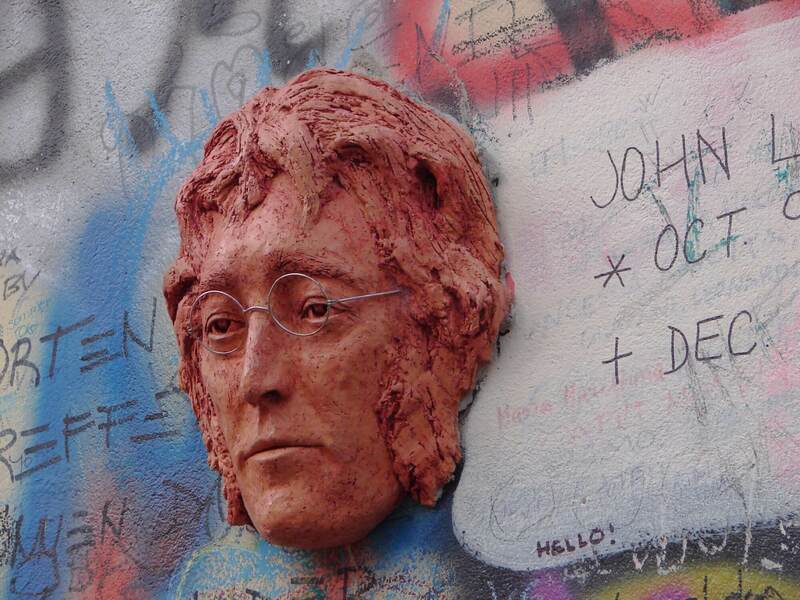 Shortly after the death of John Lennon, this stone wall surrounding the Maltese Gardens was transformed into an impromptu memorial with a painting of the singer's face. 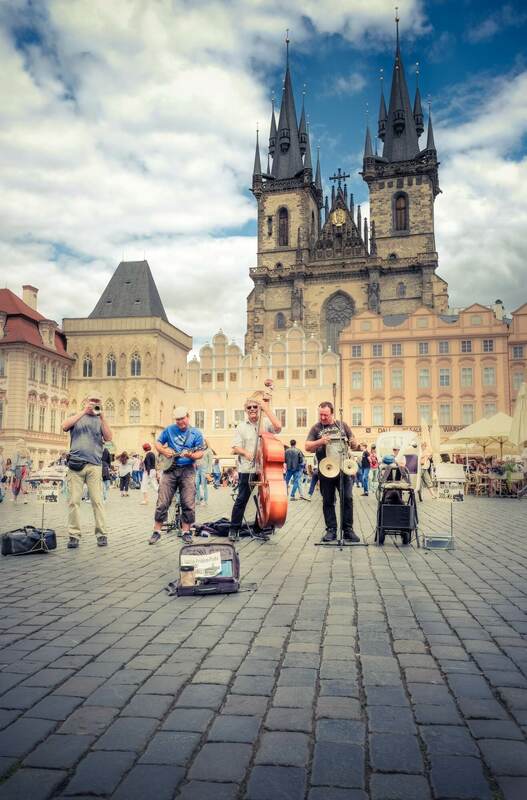 Lighted candles accompanied quotes from John’s songs about world peace and freedom, and soon slogans criticizing the totalitarian regime began to appear. 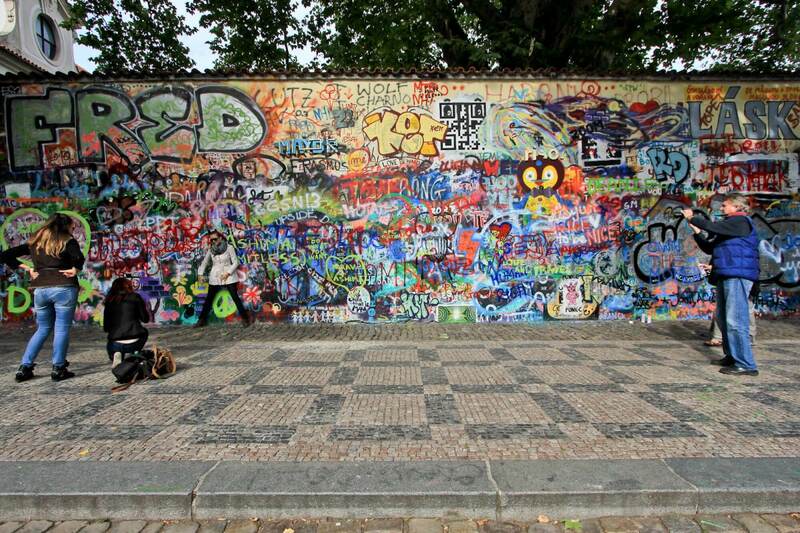 With the arrival of democracy, the wall has lost some of its significance, but it still remains as a colourful display of messages and tags. 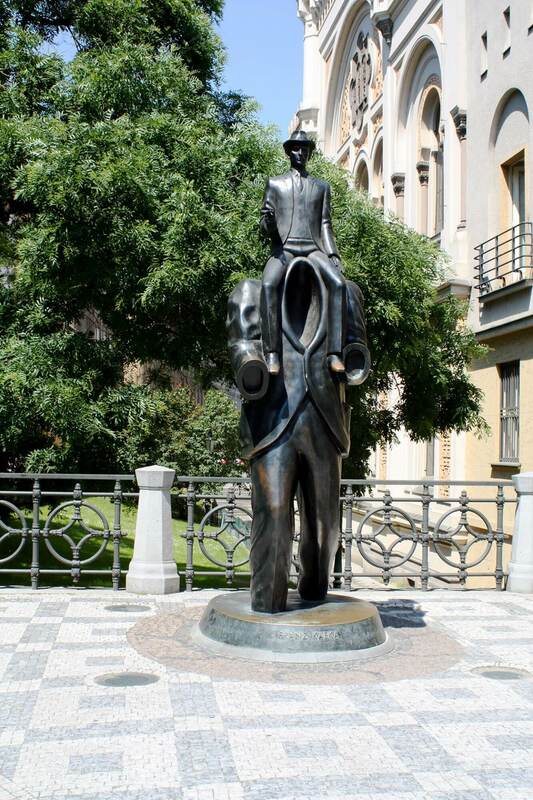 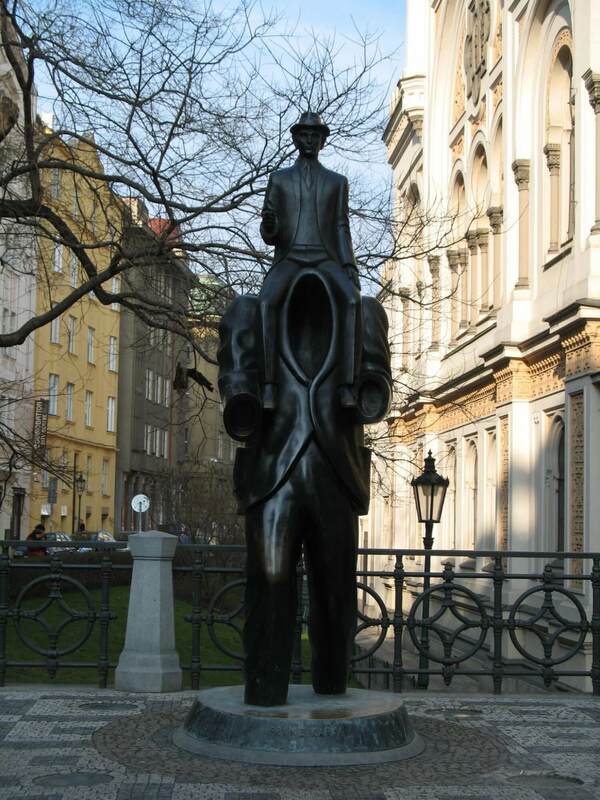 This untraditional “equestrian” statue of bronze by Jaroslav Róna is 3.75 m high and weighs 800 kg. 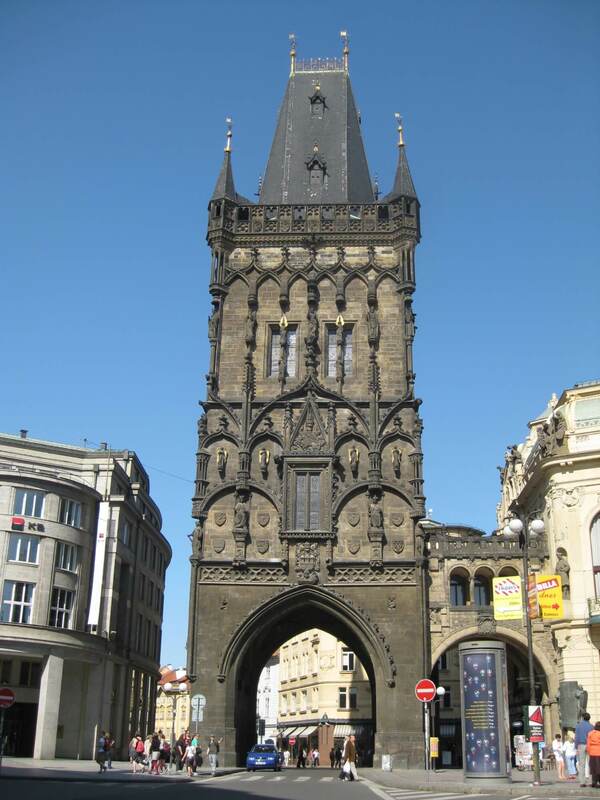 The Old Town Bridge Tower is one of the most beautiful Gothic gateways in the world. 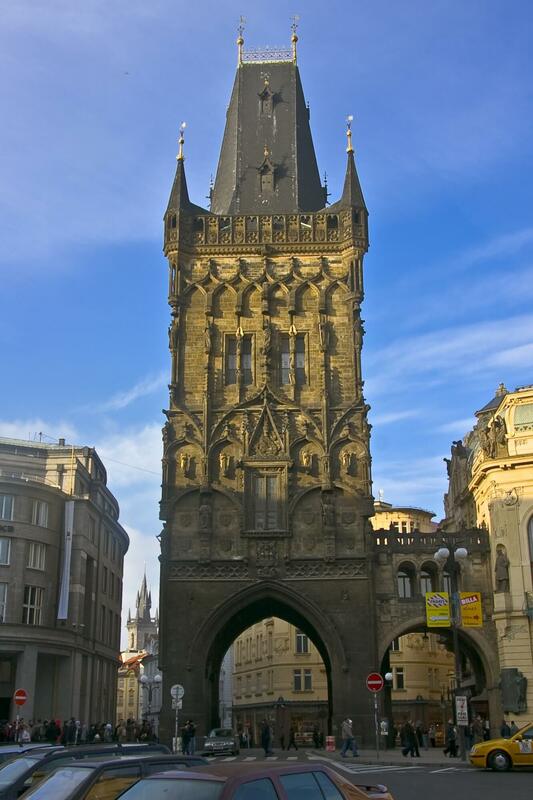 The tower, along with Charles Bridge, was built by Emperor Charles IV according to designs by Petr Parléř in the mid-14 th century. 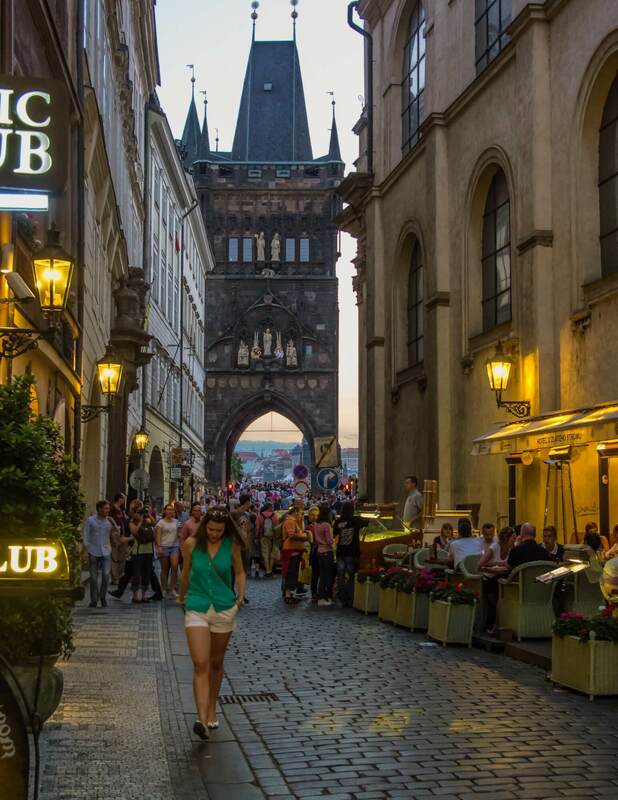 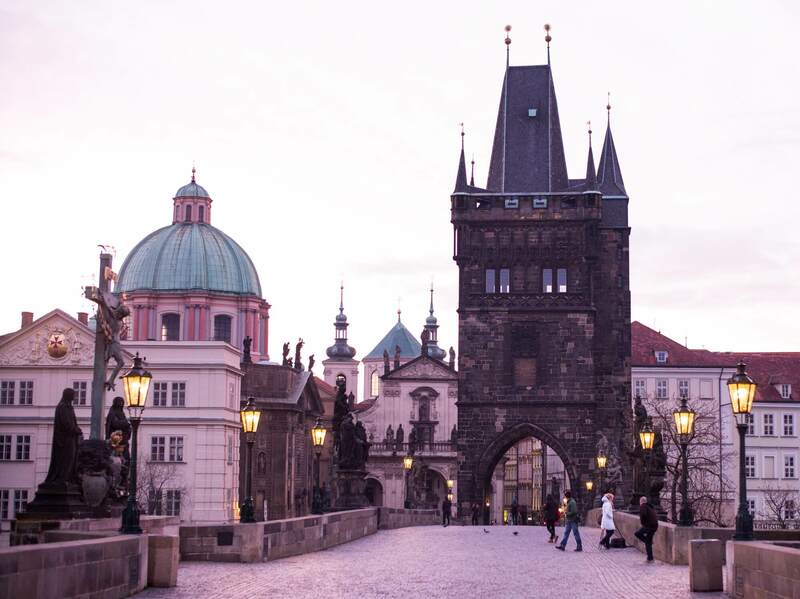 The gate to the Old Town was also conceived as a symbolic victory arch through which Czech kings passed on their coronation processions. 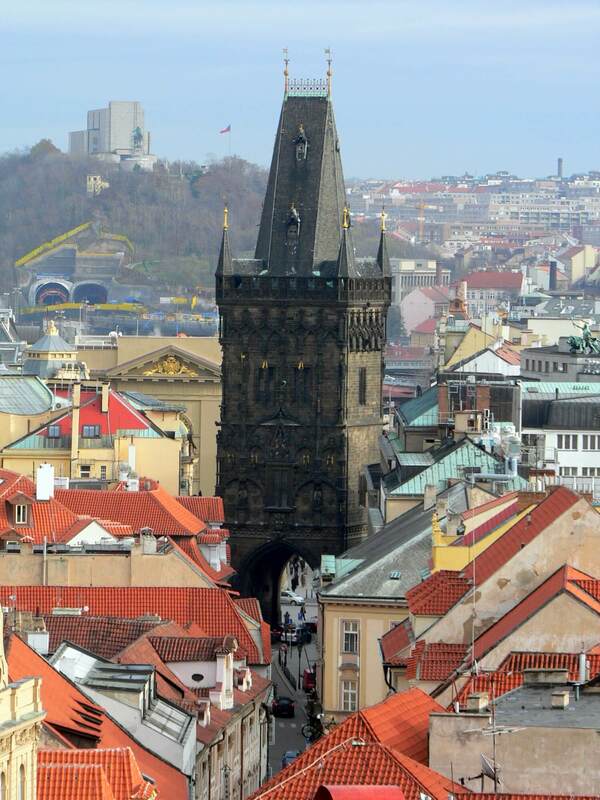 For an unforgettable view, visitors must climb 138 steps to the viewing gallery. 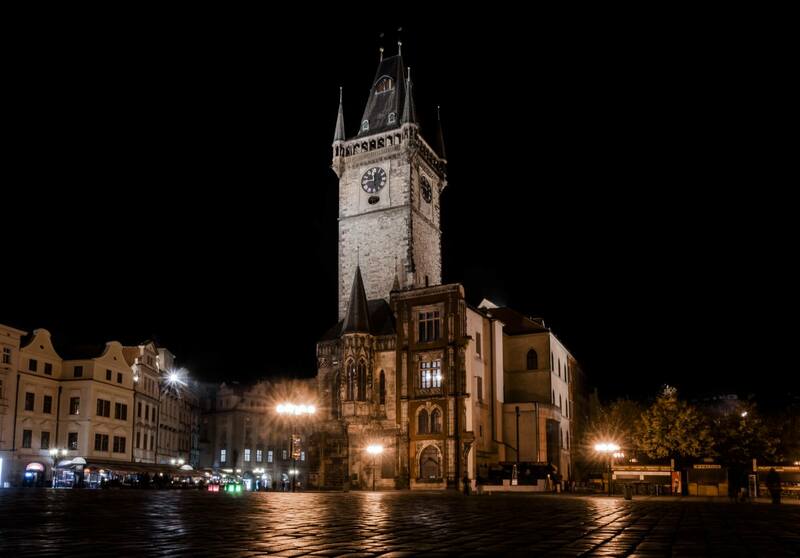 Prašná brána - monumental entrance by which the coronation processions of Czech kings entered the Old Town is one of the most significant monuments of Late Gothic Prague. 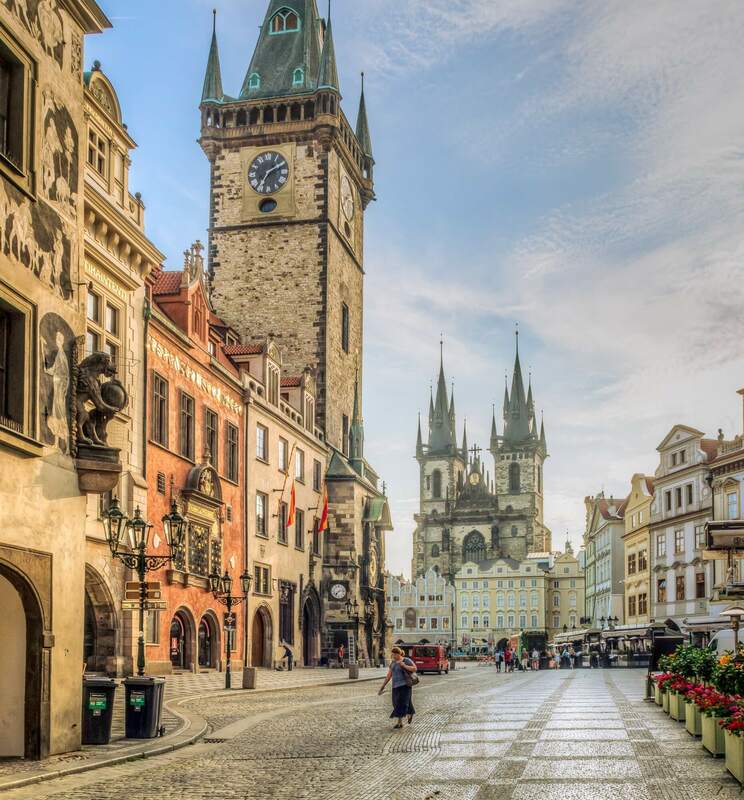 Completed in 1475, the Powder Tower, which formerly served as a gunpowder store, is still the starting point for the Coronation or Royal Route to Prague Castle. 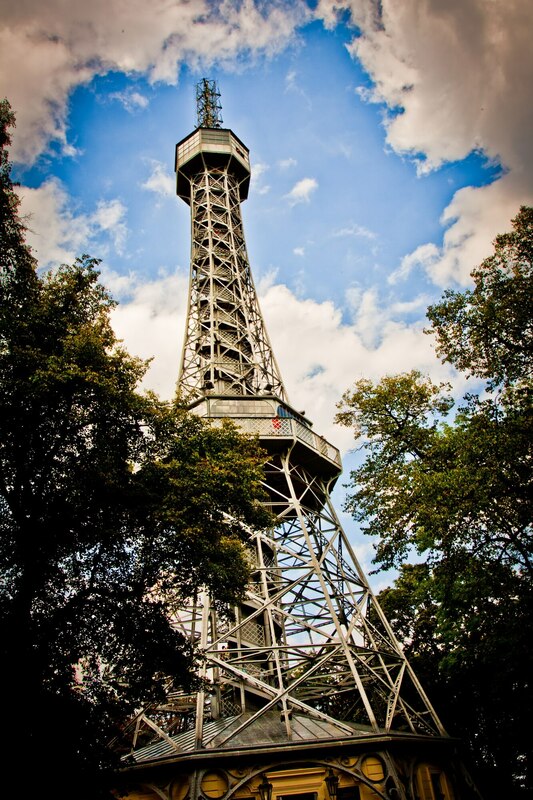 The viewing gallery is located at a height of 44 m.
Petřín Lookout Tower, one of the most prominent landmarks of Prague, was built as part of the Jubilee Exhibition in 1891 as a loose copy inspired by the Eiffel Tower (at a ratio of 1:5). 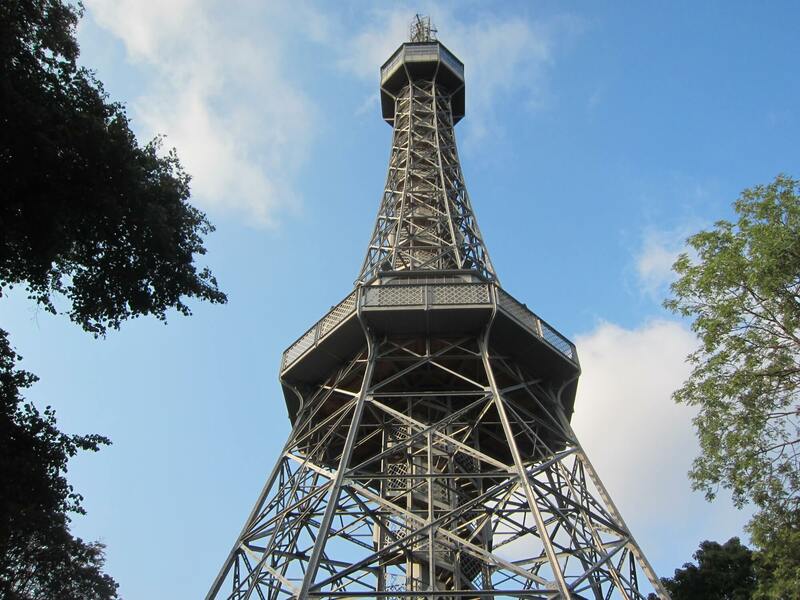 It is 63.5 metres high, and 299 steps lead to its peak, which is at the same altitude as the real Eiffel Tower. 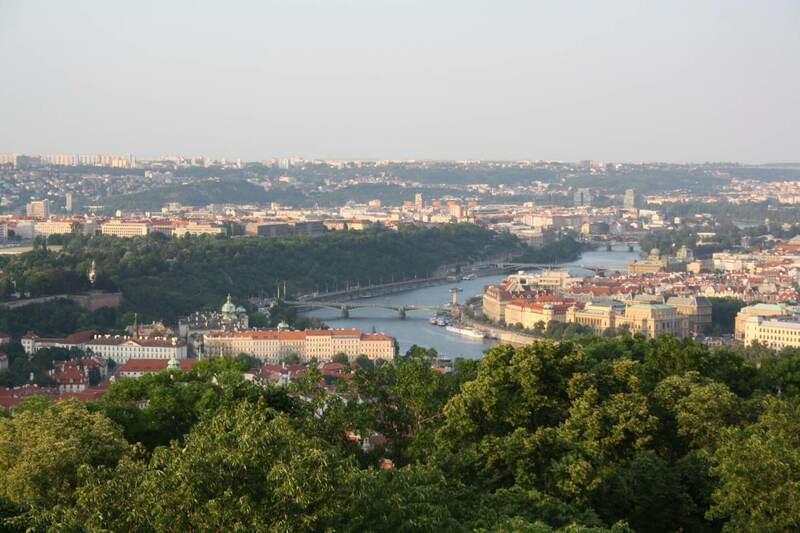 The view from its top overlooks not only the whole city, but on a clear day you can see nearly all of Bohemia. 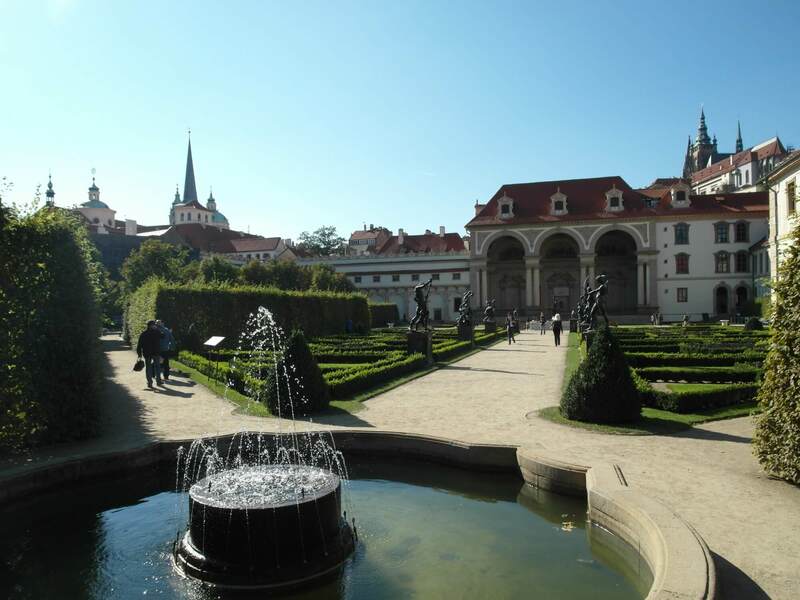 This strictly geometrically designed early Baroque garden was created in parallel with the construction of the Wallenstein Palace from 1623 to 1629. 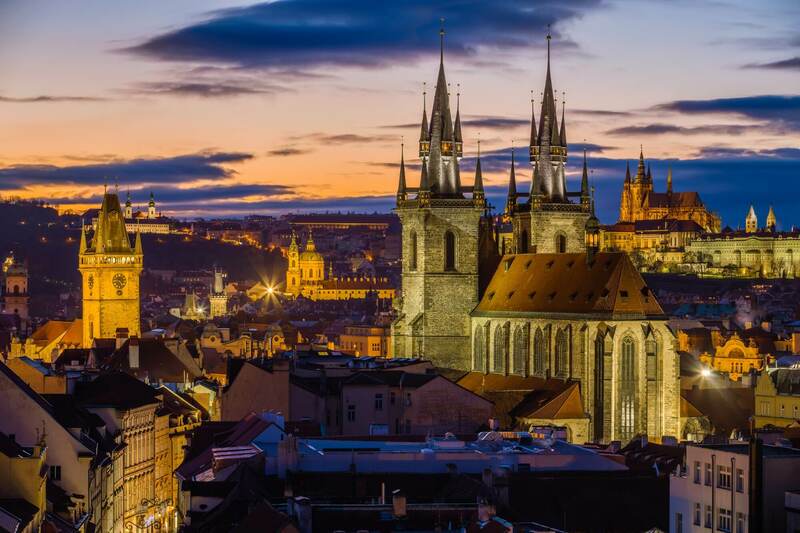 At first sight, one's eyes are drawn to the massive sala pavilion, which at the time of its construction was unprecedented, and an artificial cave with stalactites (grotto). 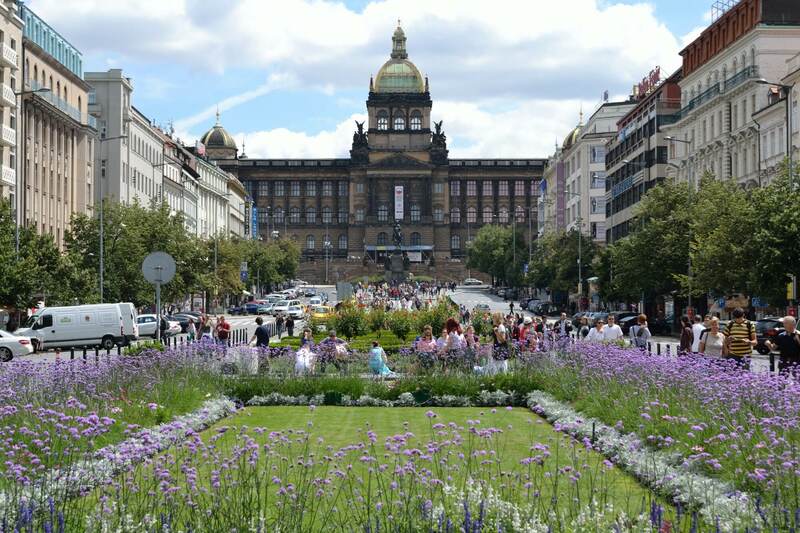 In summer the garden is the venue for concerts and theatrical performances. 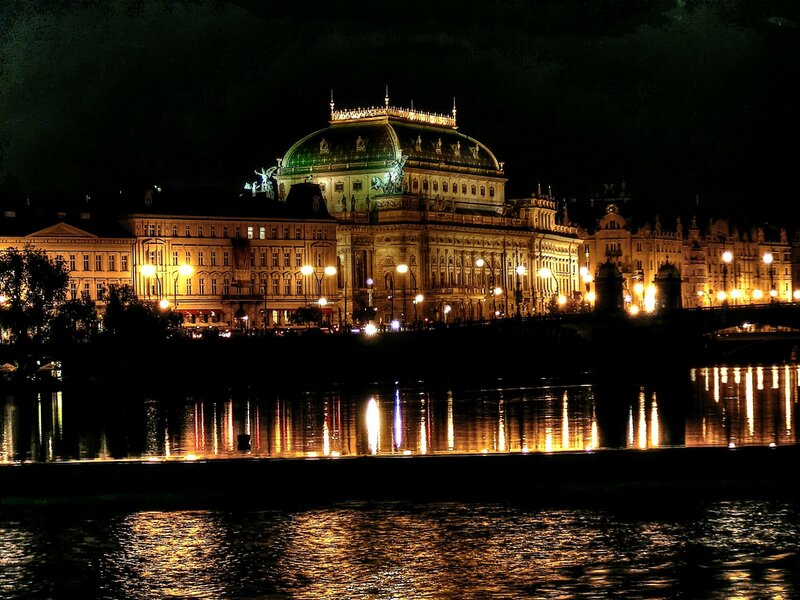 The National Theatre is the Czech Republic's representative stage, built with funds from a nationwide collection and first opened in 1881, and for the second time in 1883 after a devastating fire. 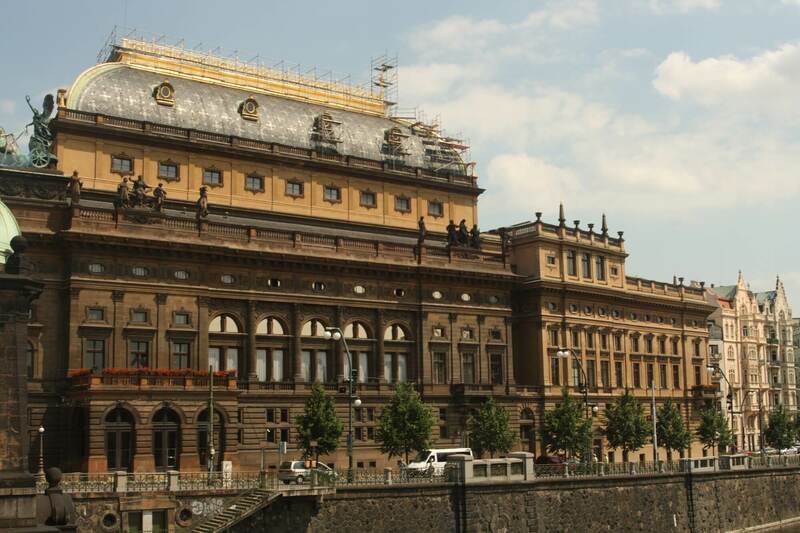 The spectacular exterior and interior decoration, richly embellished with gold, consists of masterpieces of 19th century Czech painters - Aleš, Ženišek, Hynais, Myslbek, and others. 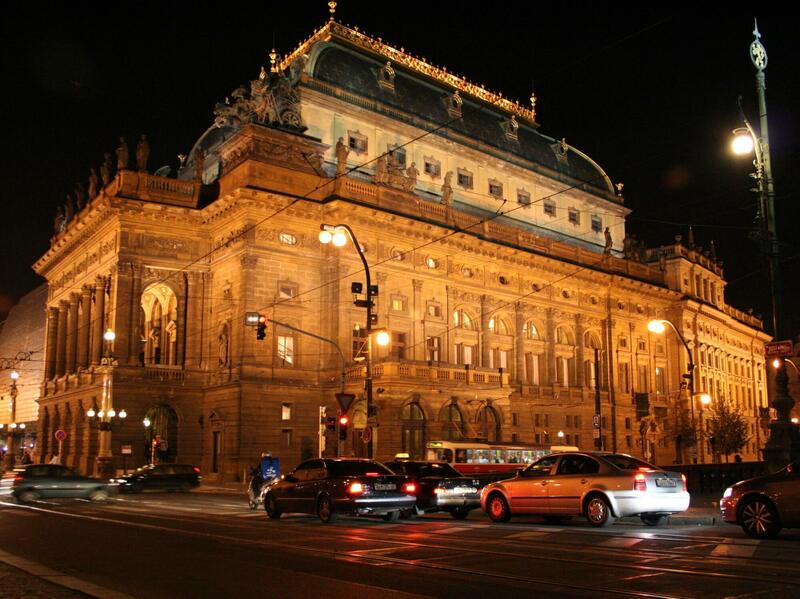 Visit drama, opera and ballet performances together with beautiful spaces unforgettable theater experience. 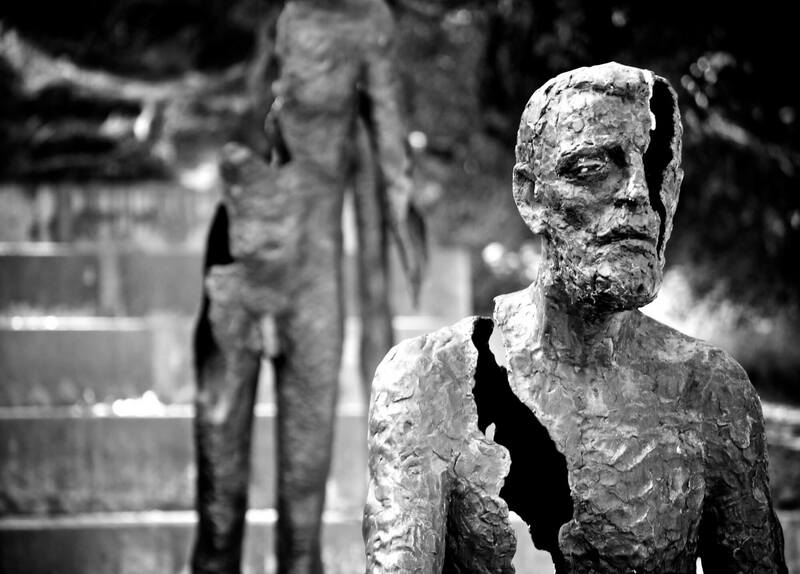 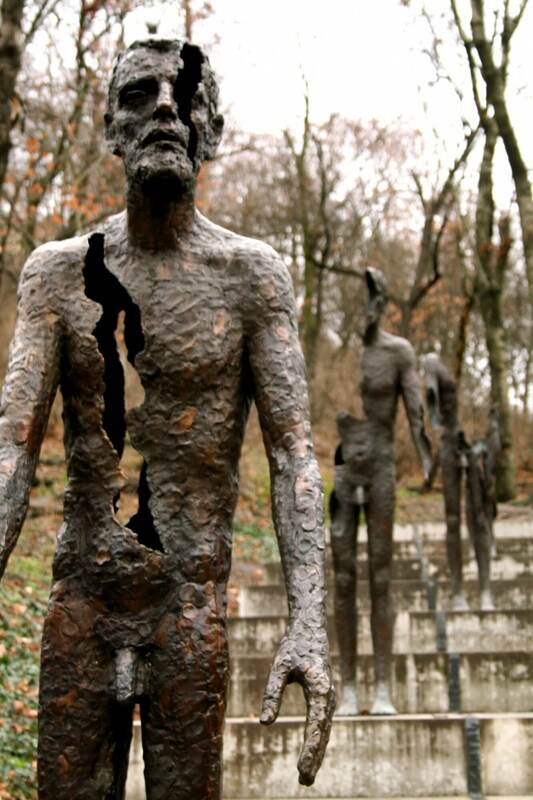 After 1989, when it was possible to speak and write about crimes of the Communist in public, need was felt to build a worthy memorial to its victims. 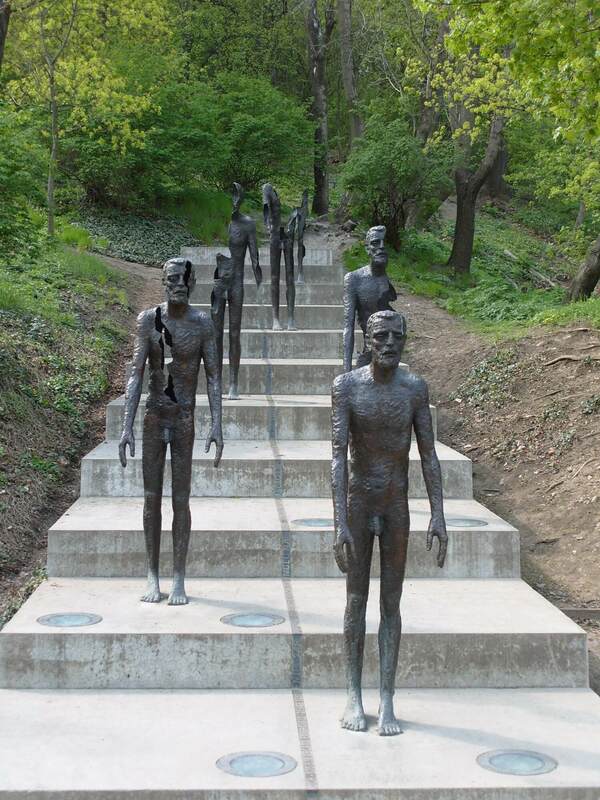 Various locations were considered, but finally an attitude became stable to build the memorial at the foot of Petřín in prolonged line of Vítězná Street. 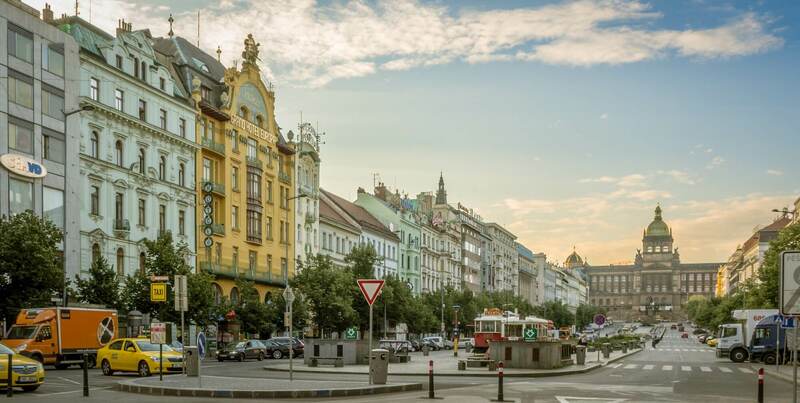 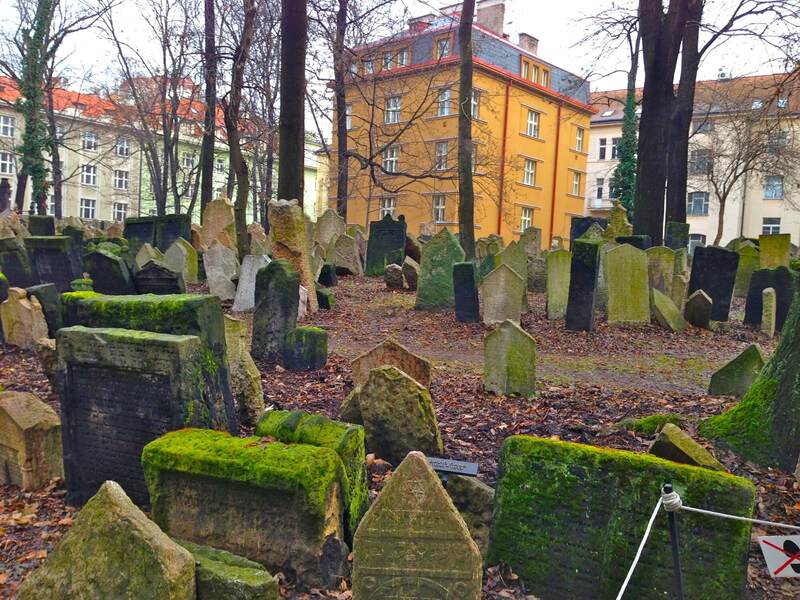 A tender was announced for the memorial establishment, the tenderer was district of Prague 1 and the capital of Prague, co-operating with Confederation of political prisoners. 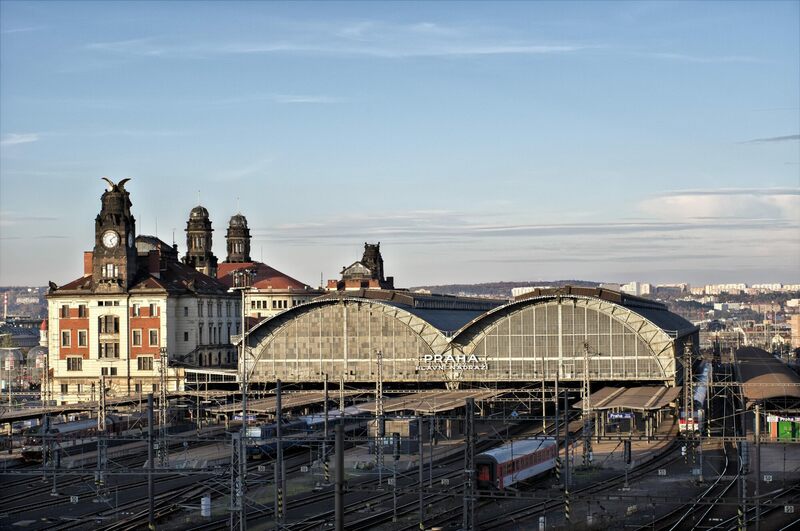 Deadline for submitting offers was 31st May 2000.